ARMAGH County Board is staying tight-lipped over reports that their senior football manager Kieran McGeeney has been suspended for 12 weeks. When contacted by The Irish News, Orchard county chairman Paul McArdle said the board would "not be saying anything at this stage". It is believed McGeeney was given a proposed 12-week ban following an alleged incident with linesman Joe McQuillan in their Allianz Football League meeting with Antrim back in March. The game ended fractiously, with red cards for Armagh’s Stephen Sheridan and Antrim duo Conor Murray and Stephen Beatty. 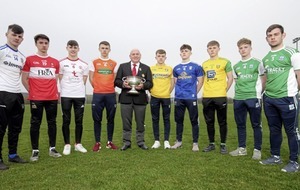 Antrim were also then hit by the one-match ban for forward Matthew Fitzpatrick that arose from CCCC’s investigation into the circumstances of Murray’s appeal. 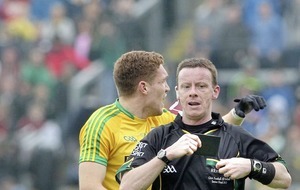 It’s understood that McGeeney’s proposed sanction arose from the contents of the referee’s report from the game, which contained reference to the alleged incident late in the game. When asked if the Armagh Board would be appealing the proposed ban, the county chairman declined to comment. McGeeney sought a hearing with the Central Hearings Committee, where he appeared in person, but the proposed 12-week penalty was upheld. The category IIIa offences all carry a minimum 12-week suspension and the ban is due to start from the date of the Central Hearings’ Committee decision. 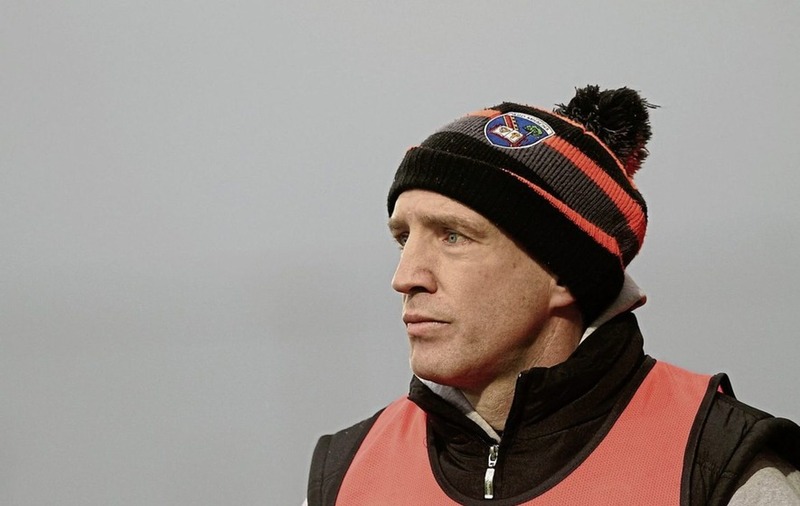 Armagh are due to meet old rivals Down in the quarter-final of the Ulster Championship in Páirc Esler on June 4 and if the suspension is upheld, McGeeney will be barred from the sideline. He could also miss a potential Ulster semi-final or Armagh’s first All-Ireland Qualifier, although the exact date on which McGeeney’s hearing took place is unclear. His ban is four weeks longer than that received by Wexford senior hurling manager Davy Fitzgerald after he entered the field of play during their Allianz Hurling League semi-final and tangled with Tipperary player Jason Forde, who also received a two-game ban. There may be better news for the Orchard on the injury front, though, as they work their way towards that trip to the Marshes. Kevin Dyas, who has endured a three-year injury nightmare, is working his way back to fitness and could be available to play some part against Eamonn Burns’s side. Mark Shields, Brendan Donaghy and Joe McElroy are also all expected to be fit, while goalkeeper Patrick Morrison should also recover from injury in time. McGeeney last week drafted midfielder Stephen Harold back into the squad after almost two years to bolster his options in the centre, and it’s believed he has been working with a sizeable training panel in recent weeks.